I have cleaned out my twitter: for those who were not following me, I am no longer following you. If you don’t want to have a relationship with me here, I won’t follow you. If you are following me I will follow back. It struck me because it got me to thinking about how we as lawyers engage on Twitter. There are plenty of books and blog posts written on the topics of how to set up your twitter account, how to market, when to post, twitter follow ratios, twitter clients, duplicate postings across platforms, twitter etiquette, building Klout. That’s not what this post is about. This post is about the many reasons why you should be on Twitter and why limiting exposure to just those who ‘follow you back’ is counter to a positive experience with the platform and can foreclose marketing/business opportunities. There is so much to learn from others who take the time to share whether it is blog commentary, business promotion, even self-promotion. You may learn many marketing techniques you never considered before. Some you may use. Some you may shun because it’s not the way you want to conduct business. But why shut the door on learning when it’s right there for you…for free! And no relationship is required other than you following their twitter feed. Some of the best education I’ve found is the twitter-battle, those long conversation threads (often between multiple lawyers) where two tweeters go at and others join in? Why miss out on these learning moments? They can be very revealing. That’s right. As Twitter 101 as it sounds, Twitter IS a marketing platform. Whatever you choose to market (yourself, your service, your product, your practice, your book, your extensive reading of WSJ, or, etc.) it IS a marketing platform. Everyone has something to sell even if it is just their engaging and clever prose. Once you throw your personality into the mix in any way shape or form, you are hoping to attract the attention of others by saying ‘look at me. I have something to say.’ Therefore, get over the fact that others do it. Just decide what you actually want to see in your twitter feed and accept that periodically something you don’t want to see will pop up. Just don’t click on the link and continue scrolling down. If more pops up that you don’t like versus what you do like, unfollow. This isn’t about numbers. 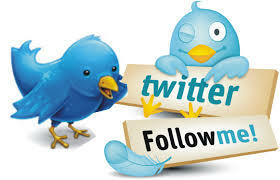 Many people will follow you for the various reasons listed above. They don’t necessarily want to have a relationship but want to learn what you have to say. They may stay with you for a while and then leave. It’s not personal. They may solicit you in a way you’re not comfortable with and so you block them. They may be bots or spam. You, in turn, don’t necessarily want to have their tweets in your stream because they 1) aren’t your target market; 2) you find their tweets offensive; 3) they have protected tweets and you don’t want to ask permission to see their tweets; 4) they are corporations or vendors of services, or any number reasons. But that doesn’t mean they shouldn’t be allowed to follow you unless you actively cull your list for specific reasons. Just don’t feel compelled to follow them until there is a valid reason for you to reconsider. This entry was posted in Social Media, Subjective Opinions. Bookmark the permalink. My favorite is #1. Twitter is an RSS feed. News breaks faster on Twitter than any other outlet. Also, if you use Hootsuite, searching the twitterverse under the Publisher tab quickly gives you a list of content on your topic that you can share, comment on or write about on your blog. Great tip, Nick! Something new to learn every day! !